This post is a sponsored conversation brought to you by Flavor Your Life campaign and Moms Meet. All opinions are my own. Being the frugal mom that I am, I love ways to save money while still dressing things up. 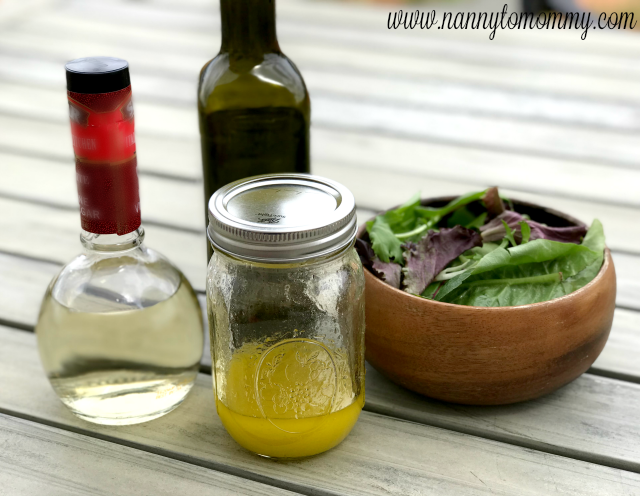 Making your own dressings is a great way to not only save money, but you can also make your dressings as flavorful as you want and you don't have to sacrifice quality. The best and easiest to make dressing is an olive oil vinaigrette. The key to an awesome vinaigrette is 1 part vinegar to 3 parts olive oil and add salt, pepper to taste. Olive oil should just be a staple in every kitchen. It is so versatile. Because Olive oil has a high smoke point (400° F), it can handle anything from a light sauté to a deep (and deeply flavorful) fry. You can bake with olive oil, as well. You can even preserve roasted veggies or use it to moisturize dry skin! Picking the perfect olive oil is helpful because the are reasons for different tastes and varieties. Olives harvested early in the season, late August (varies by region), are under-ripe and produce oils that are greener, more bitter and pungent. Olives harvested at the end of the season, late November into December, are over-ripe and tend to taste mild and buttery. Spanish oil is typically golden yellow with a fruity, nutty flavor. Italian olive oil is often dark green and has an herbal aroma and a grassy flavor. Greek olive oil packs a strong flavor and aroma and tends to be green. French oil is typically pale in color and has a mild flavor. I used Zucchi. Zucchi is a premier Italian Olive Oil Company delivering traceable and sustainable products. - Sugar or honey helps mellow the vinegar’s acidity, if necessary. After you add your ingredients, then you need to mix it up. The way to do this is either with a blender, whisk, or the easiest solution since it can also make convenient storage is just shaking it in a mason jar! Once it's mixed, then just taste and adjust as needed. You will need to taste with a salad leaf for a more accurate projection. I love having olive oil in my kitchen. I truly believe that it is a staple everyone should have on hand. Olive oil comes from the fruit (known as a drupe) of the plant Olea europaea, or European olive. Extra Virgin Olive Oil is made by pressing without heat or chemicals. It represents the freshest and purest olive oil available. Extra Virgin Olive Oil is virtually free of acidity—below 0.8%. This is to assure its quality rather than its taste, because overly processed and rancid oils contain higher levels of oleic acid. Olive oils are also tested for peroxide values. Lower values indicate fresher oil and more rapid processing, and are required for Extra Virgin designation. Each oil is judged by expert tasters, who must agree that it meets the high flavor standards of an Extra Virgin rating. These experts also test for taste defects and the presence of positive attributes of fruitiness, bitterness and spiciness. If the oil doesn’t have the signature fruity taste and harmonious balance it won’t receive an Extra Virgin rating. Between uses, store your oil someplace dark and cool (around 57° F, if possible), not on a counter or near a stove, and never in the refrigerator. Keep the lid screwed on tight, and use your oil within 6 months of opening, and within 18 months of purchasing. The Flavor Your Life campaign, supported by the European Union, Unaprol, and the Italian Ministry of Agriculture, is dedicated to providing the latest in industry news on European Extra Virgin Olive Oil. The program aims to educate US consumers so they can make informed decisions when purchasing Extra Virgin Olive Oil. To learn more visit flavor-your-life.com. Do you like to use Extra Virgin Olive Oil in your kitchen? Growing up in an Italian household, there was always olive oil, oregano, cheeses, garlic, and a couple of other things. If the olive oil is old, you can actually tell the difference. The food does not taste as fresh or crisp. Your description is good and accurate - rancid and acidic- yuck! Thank you for sharing these great points! I like to add scallions and extra garlic to mine! 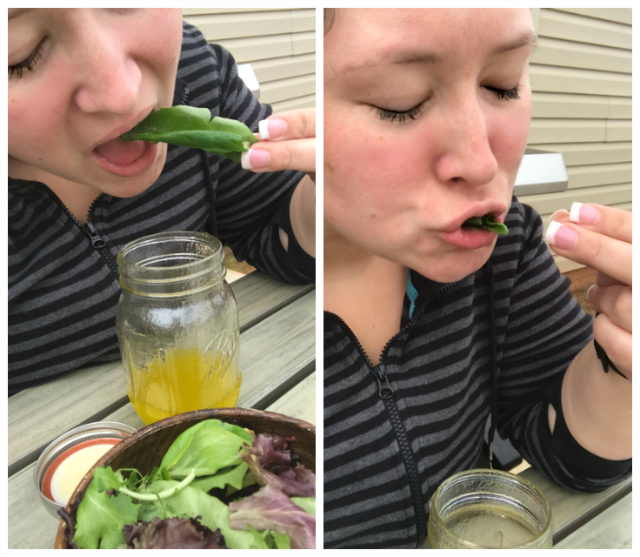 I've never tried making my own dressing before, but I think it's about time I did! I think that part of it is that I don't use any kind of salad dressing, but some members of my family do-- and they just purchase their own. That might sound a little strange, but it's just part of those "kitchen rituals," I suppose. It's not a food that a work with... if that makes sense? Regardless, thank you for posting on this-- it's given me some inspiration! That would be good. I actually like vinegar, so using it with olive oil is great. This gives me some ideas to add cheese to the recipe sounds so good and we eat lots of salad too. I had to pin this great information on oil too. My Gramma has a great olive oil/vinegar dressing recipe! This looks delicious and healthy! I love the hint of garlic and cannot wait to try this. This is so yummy, I make something similar. It's so much bette(and healthier) than store bought! 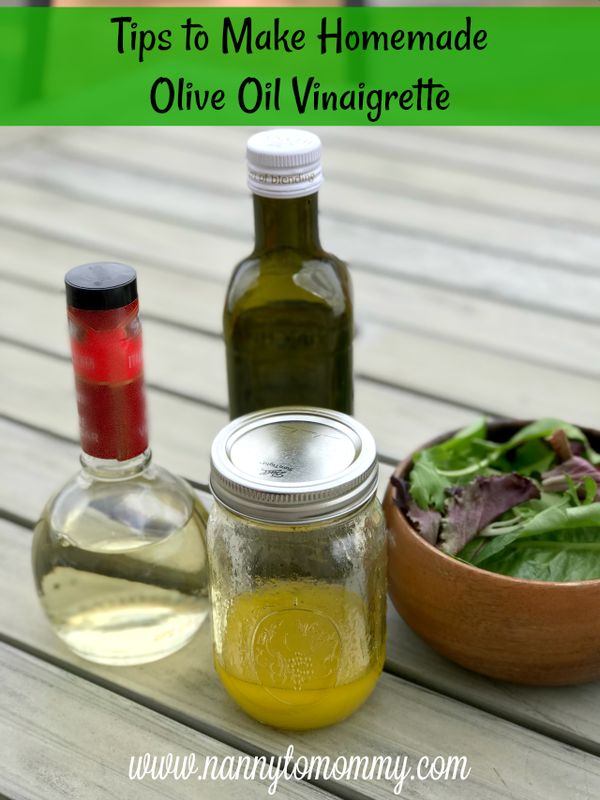 I have never made my own Olive Oil Vinaigrette. I will have to try this. This looks like it wouldn't be too hard to make but still taste good. Thanks for the tips. It looks great and I am excited to try it myself! Making one's own oils, vinegars, vinaigrettes, and infusions would be great for gourmet cooking! 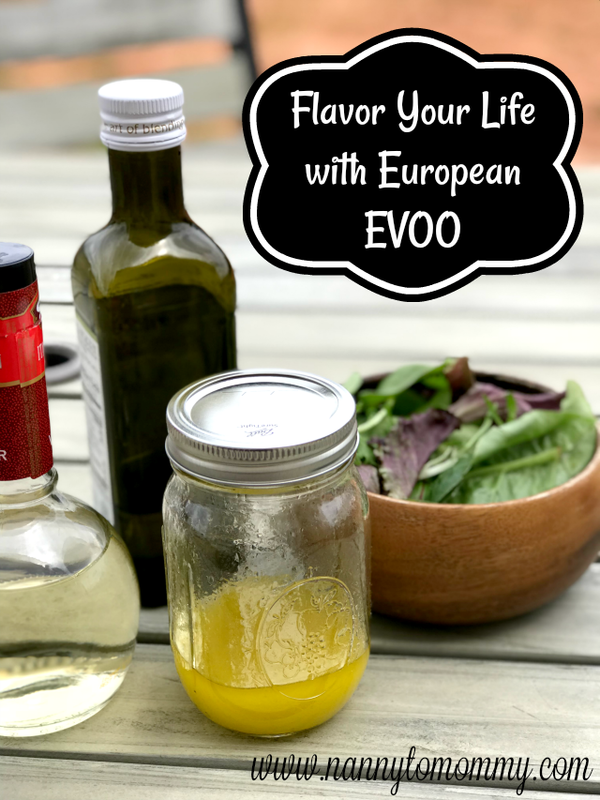 (Tips to Make Homemade Olive Oil Vinaigrette) I am writing this recipe down for making next summer of 2019. It sounds so good. This looks like it would be good. I might try it this week. There is something so fresh and delicious about Olive Oil Viaigrette! As delicious as it is, I always purchase this dressing. Seems it is time I try to make it at home. Thank you Nanny To Mommy! I really enjoy a good vinaigrette salad dressing.